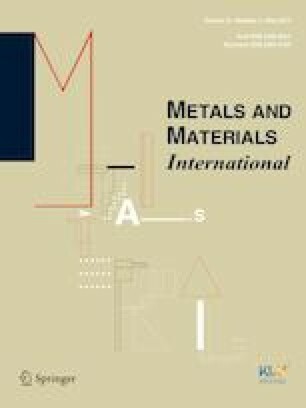 A new model undertaking the densification kinetics of uniaxially pressed metallic powders at constant temperature is proposed. This model is developed according to the power law of creep, and the expression of the ‘net pressure’ derived by the authors in a previous work. This net pressure describes the ‘geometrical hardening’ experienced by the powder mass, during compression. In order to validated the model three different powders were uniaxially pressed, aluminium, tin and lead, being obtained data from hot compaction experiments. The similarity between the model predicted curves and the experimental data is quite acceptable. In addition, the goodness of the model is contrasted with two other theoretical models addressing the same problem. The approach developed can be useful to model hot uniaxial pressing and electrical consolidation processes, which start with loose powders, i.e., not previously cold compacted powders. The authors grateful to FEDER/MEyC, Madrid, for funding this research within the framework of Projects DPI2015-69550-C2-1-P and DPI2015-69550-C2-2-P. The authors also wish to thank the technicians J. Pinto, M. Madrid and M. Sanchez for experimental assistance.